Here’s a player who has a name recognition problem. When he came to Green Bay in 2017, the team already had a couple guys named Josh, and a few named Jones. It only got worse in 2018, when the team drafted another defensive back: Josh Jackson. Going back over my old notes, I was impressed by Jones’ size, athleticism, and toughness. The guy stands almost 6’3”, weighs 220, and runs a 4.41 dash time – and he reeled off 20 reps on the bench. That’s just what I love to see in a safety. The big story coming out of his rookie camp was that Defensive Coordinator Dom Capers expected to employ him as a hybrid safety/linebacker – though that plan never really took hold. Capers in fact favored Kentrell Brice over Jones in 2017. (I)t’s Green Bay’s second 2017 pick, Josh Jones, that has electrified the fans. Jones is a big and strong safety – but he also has the athleticism usually associated with a small cornerback. His 4.41 dash speed bests King (4.43) Randall (4.44) and Rollins (4.57). Best of all, Jones loves to hit people – it’s his size and physicality that has the Packers’ coaches drooling over the possibilities of using him as both a linebacker and a defensive back. Jones as a rookie ran up very decent numbers while playing about two-thirds of the time: 71 tackles, two sacks, and five passes defended. Unfortunately, he was unable to match those stats in 2018. He started his second year off on a down note by injuring his ankle during practice and going inactive for the first three regular season games. He didn’t earn a start until December, but once he did he finished out the season with the following tackle totals: 5, 6, 6, 12, and 3. The most disappointing thing about Josh has been a lack of big plays: two sacks, five passes defended and one interception in 2017, and one sack, two PDs and no interceptions last year. He has yet to cause or recover a fumble as a pro. It could be that Jones was not quite ready when he chose to turn professional after his junior year at NC State, an AAC team. Trying to thrust the young rookie into a hybrid role also might have been unwise. That’s what many of us expected to see from the Pack’s second round pick in 2017 (61st overall). We’re still waiting. This is the year for Jones to bust out, or be relegated to a backup role. He needs to be become more assertive in challenging receivers who enter his space. He’s got all the tools and athleticism you could ask for in a safety. 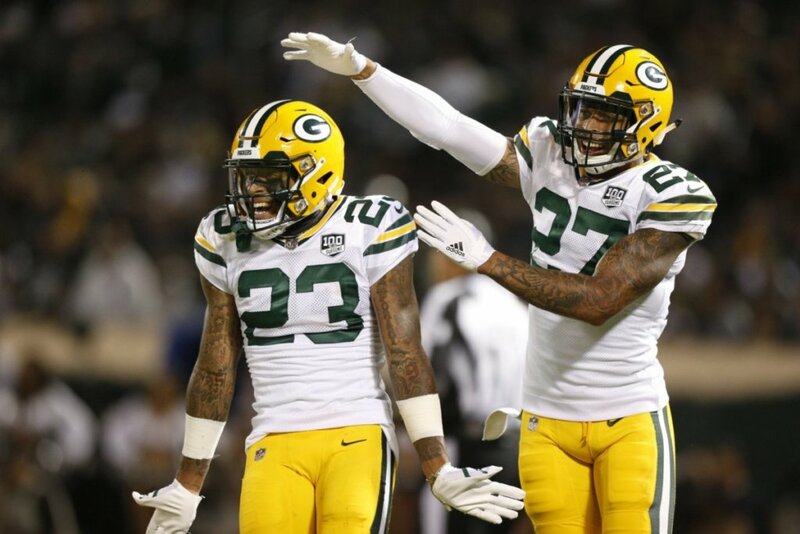 If he lives up to the hype he came into the league with this year – coupled with his three new defensive free agent teammates – the Packers’ defense could rapidly become stupendous. Physical tools..check, between the ears…not checked. Maybe second year with same DC will help. I have to agree with the grammar cop. NC State is in the ACC not AAC. Had huge game early his rookie year and then Pack never played him again. Feels like hes been on the verge of being released for a bout a year now. Must have gotten in somebody’s dog house. Hits like a hammer. Thinks like one, too. Hope you are right. Seems like grasping NFL defenses has been an issue for him. Just goes to show athleticism and combine numbers do not necessarily predict success. See if he can put on another ten lbs and try to play inside LB. No instincts, no flair for the game. Straightline rover back mis cast by Ted. You can all the physical gifts in the world but if you’re not assignment sound and with it between the ears ot makes no difference in the NFL.